You will find our frequently asked questions here. If you don’t find what you are looking for, we are only a phone call away. 678.800.0701. 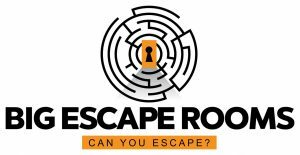 Big Escape Rooms is location at 444 Highland Ave NE, Suite 415, Atlanta, GA, 30312. All of our escape games have a minimum of 2 players and a maximum of 12 players. Yes. You can give your tickets to another person. Just give us a call at 678-800-0701.